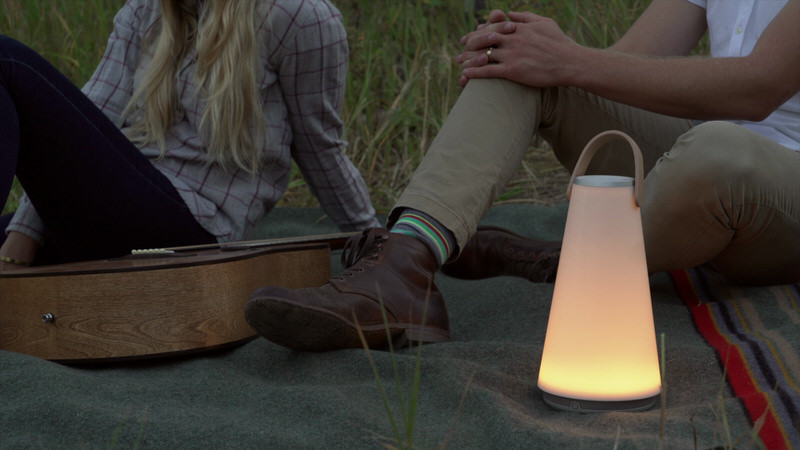 UMA is a lamp / speaker hybrid by Pablo Designs intended to serve as either a portable companion device, or as a stationary centrepiece for social gatherings with up to 8 hours battery charge. 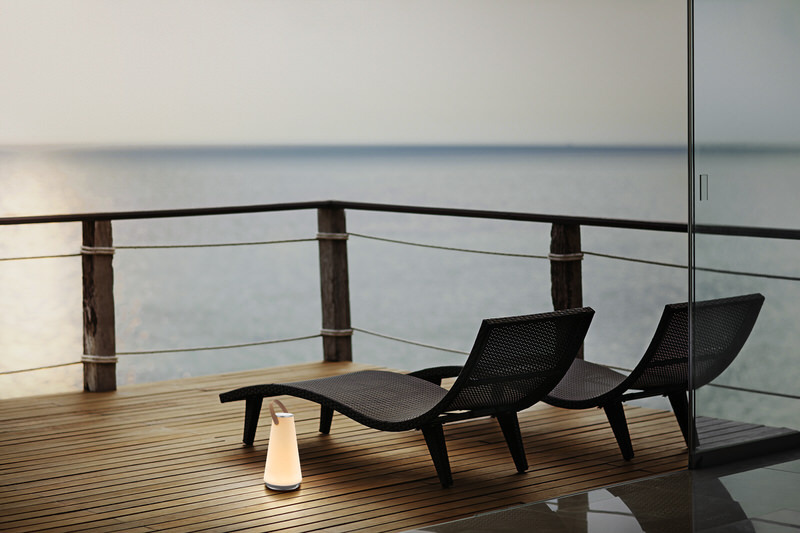 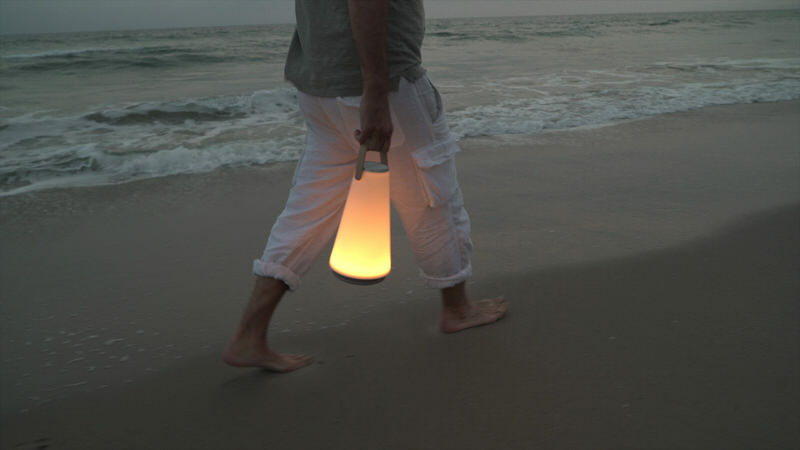 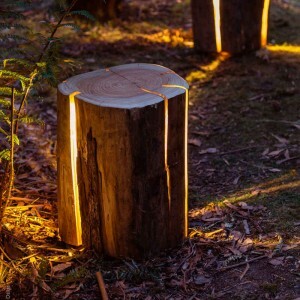 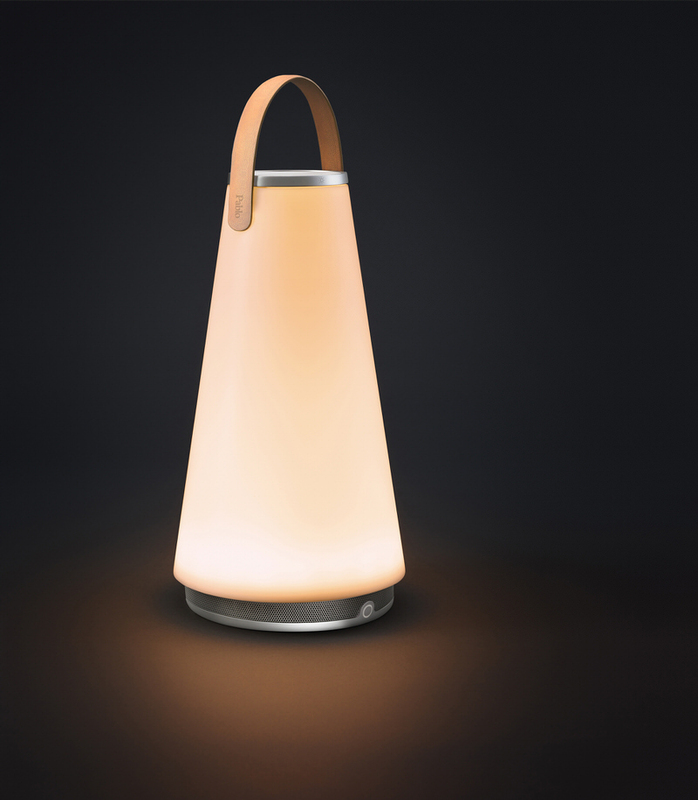 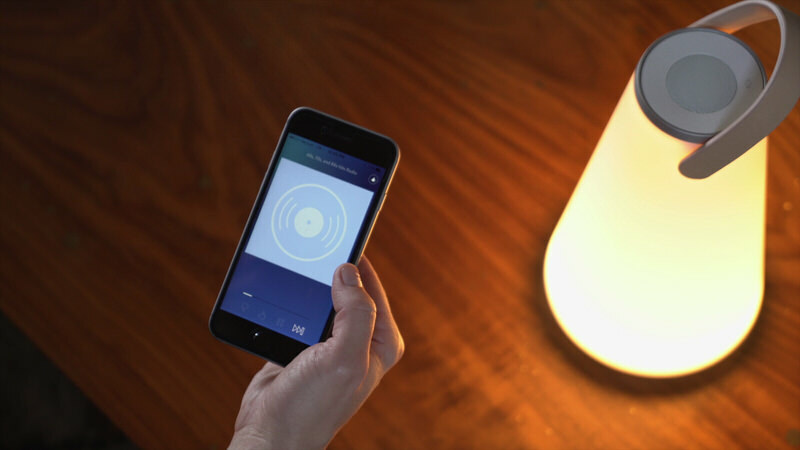 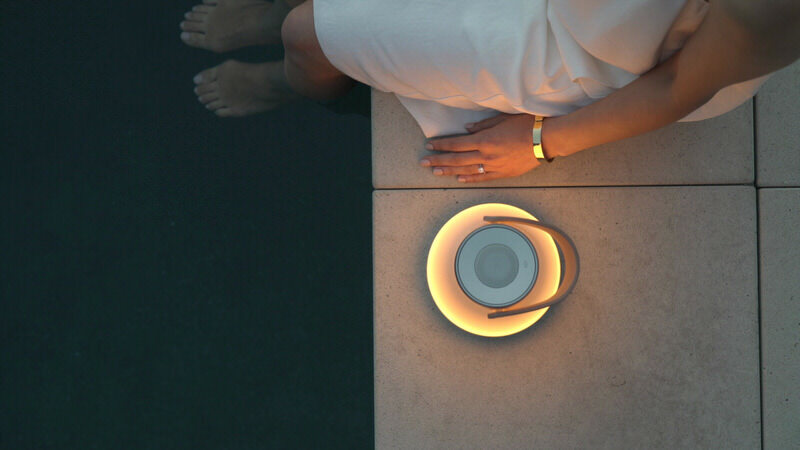 The lamp is dimmable — being lit by LEDs with a remarkably warm colour temperature so as to resemble a flame and the lanterns of yore — and has bluetooth connectivity for playing music stored on a phone. 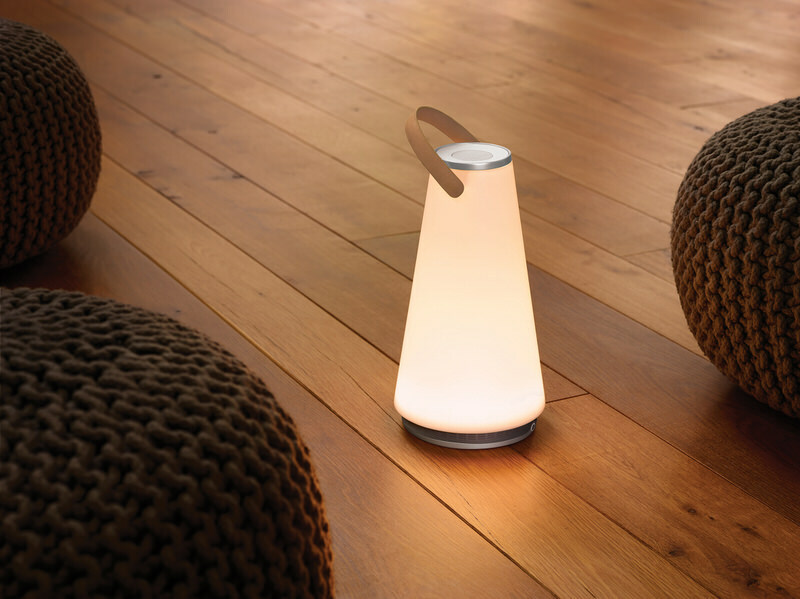 The sound lantern bears an elegant tapered design with a larger base, which gives the lamp added stability against being knocked over. 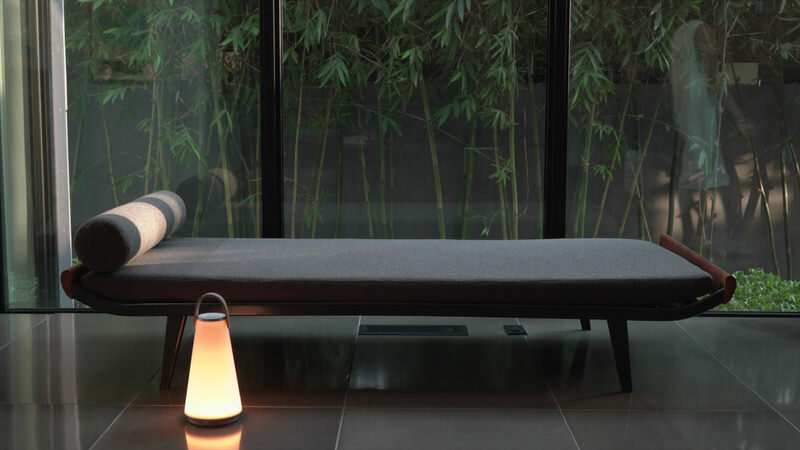 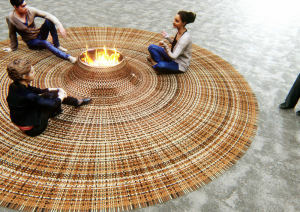 The rounded design of UMA enables it to offer 360° sound and lighting, allowing one to be placed at the centre of a social gathering to give the same qualities to all those around it. 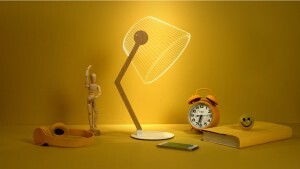 UMA is an object of considerable size, bearing a diameter of 15cm (6 inches) and a height of 28cm (11 inches), with a weighty quality to it at 1.3kg. 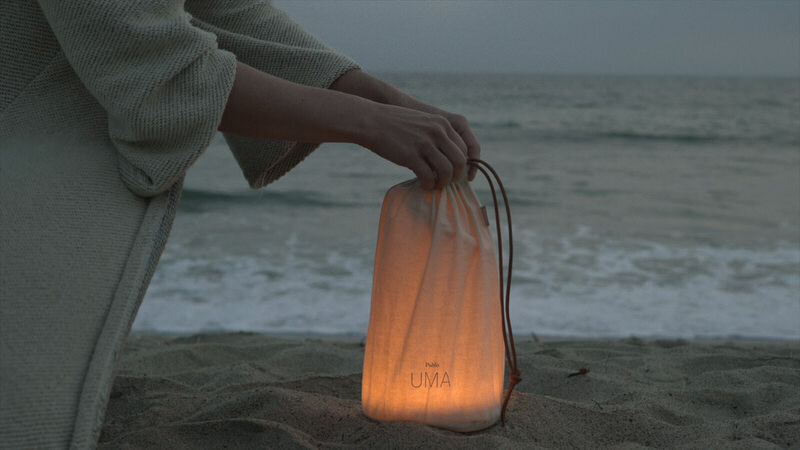 However a convenient leather strap at the top of the device, coupled with a custom cotton bag, makes it easy to carry and move UMA around. 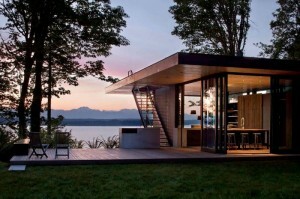 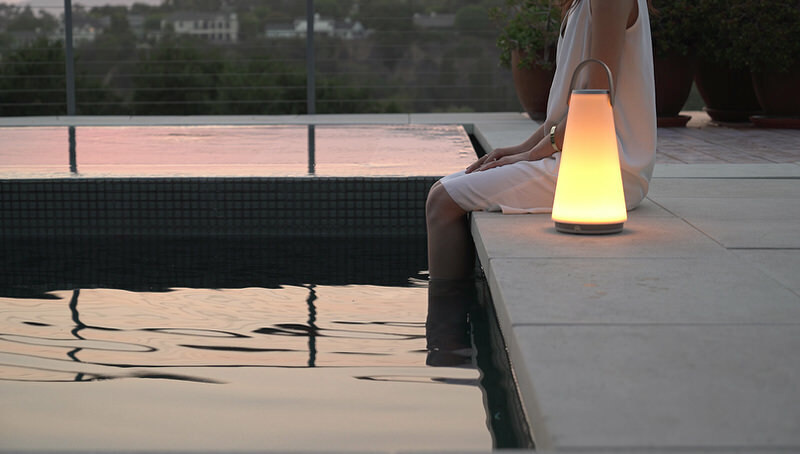 The translucent portion of the UMA Sound Lantern is composed of tough polycarbonate, while the speaker grille which also spans the circumference of the device in its entirety is made of steel.